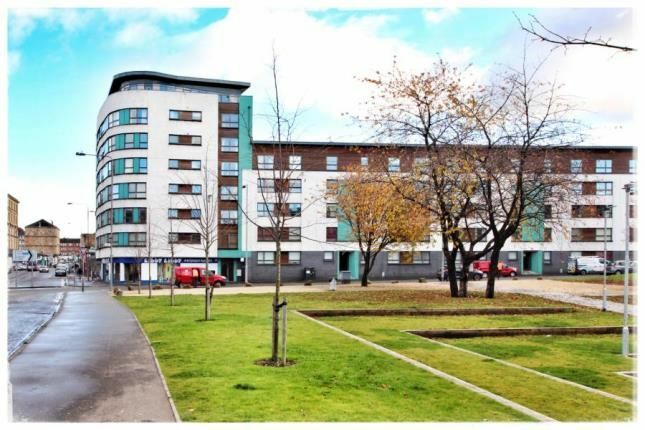 An exceptionally well presented two bedroom apartment with open plan living space and two upgraded shower rooms in this popular development located across from a beautifully landscaped park and Glasgow's Merchant City. The property is on the fourth floor with both lift and stair access and comprises reception hallway with storage cupboard, a large open plan living space with room for lounge and dining areas, a modern fitted kitchen with plenty of cupboards space, both bedrooms are generous doubles, both have fitted wardrobes whilst the master features a stylish upgraded en-suite shower room and there is an equally impressive main shower room with a large walk-in shower enclosure and designer tiling. The property has a gas central heating system, double glazing and access to particularly well kept residents' gardens. Hall15'1" x 7'6" (4.6m x 2.29m). Sitting Room12'9" x 22'7" (3.89m x 6.88m). Kitchen9'10" x 22'8" (3m x 6.9m). Master Bedroom10'2" x 10'2" (3.1m x 3.1m). En-Suite5'11" x 5'3" (1.8m x 1.6m). Bedroom 213'5" x 9'2" (4.1m x 2.8m). Bathroom5'11" x 3'11" (1.8m x 1.2m).